So was it worth £100m? Peter Morgan can't get enough of Her Majesty. Ten years ago he wrote The Queen (with Helen Mirren starring), in 2013 he brought us the stage play The Audience (Dame Helen, again), and now he's written all 10 episodes of this first series of Netflix's royal juggernaut, The Crown. The long-term strategy is for The Crown to tell the story of the Queen from her wedding in 1947 to the present day, which producers Left Bank Pictures reckon will take six seasons. Stepping into the royal shoes is Claire Foy, whom we first meet as she prepares for her wedding to Philip Mountbatten (Matt Smith, pictured below). Even at this premarital stage, Philip seems conflicted about his future role. His manner is sulky, his body language restless. Elizabeth herself doesn't seem entirely certain either. "You still have 24 hours to change your mind," she tells him nervously the day before, and in the middle of the ceremony in Westminster Abbey she freezes at the line "to have and to hold". The show's early passages are dominated by the future queen's ailing father, George VI (Jared Harris). The first sound you hear in episode one is his ghastly rasping cough, and the remorseless progress of his lung cancer is demoralising to watch. Harris plays him with a sad stoicism which would tweak the tear-ducts of the most rabid republican, and the scene where he joins in with the carol-singers in the drawing-room at Sandringham, sobbing silently, is indecently affecting. A hero from World War Two, the King is suddenly a man out of time. He's delighted at the 1951 re-election of Winston Churchill as Prime Minister, with whom he forged a close bond during the momentous war years, but Churchill himself is now old, stooped and eccentric. Without ever being explicitly articulated, the weariness and gloom of post-war Britain has seeped into the royal chambers and corridors, where even the electric light feels exhausted and mice skitter in the kitchens. Time for a new broom then, though at the time nobody foresaw that the 25-year-old Elizabeth was going to become the dynasty's guiding light. At least nobody except her grandmother Queen Mary (Eileen Atkins, doubtless delighted that Maggie Smith didn't get the part), who has noted how Elizabeth quietly but purposefully steered her husband to the altar despite his having no support from either politicans or the royal circle (except the scheming Louis Mountbatten, more of whom anon). 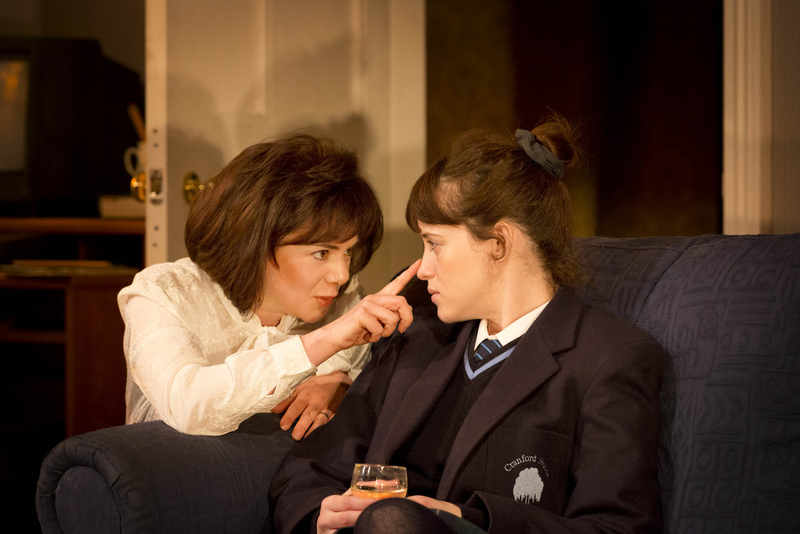 Foy's performance modulates artfully from doting daughter and naive bride to shock at the responsibilities thrust upon her, then to an acceptance that the hand of history cannot be denied. Philip gets a belated heads-up about the way his destiny is going to pan out from the dying George VI, who takes the tetchy naval officer for a spot of duck-shooting on the Sandringham lake known as the Wolferton Splash. "She is the job," the King tells him. "She is the essence of your duty." No doubt The Crown will suffer the usual Loach-ist brickbats (too nostalgic, too safe, too many toffs and tiaras, too Downtonist etc), but Netflix knows the audience is out there. The £100 million budget has bought an impeccable cast, and as they gather at Liz and Phil's wedding you can actually spot who's who without being told. Greg Wise has Louis Mountbatten nailed, Jeremy Northam is suddenly the living twin of Anthony Eden, Vanessa Kirby (pictured above) is palpably Princess Margaret, and while John Lithgow doesn't really resemble Churchill, the stooping walk and the tip of the hat do the job for him. It's a little soap-ish, but very more-ish.